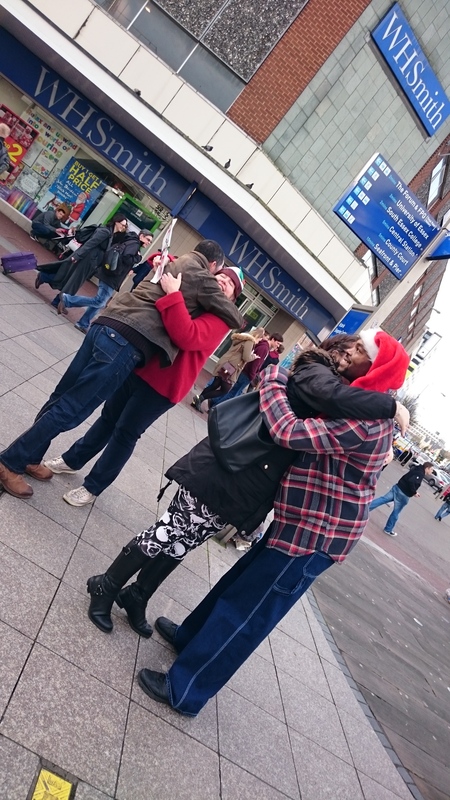 For the 3rd year, Soup friends were out in Southend High Street on Saturday 19th December hugging people. The world can seem like a dark place. Bad things happen. Christmas can be stressful. People that are isolated feel that sense of loneliness all the more profoundly at a time when we’re bombarded with images of happy families. 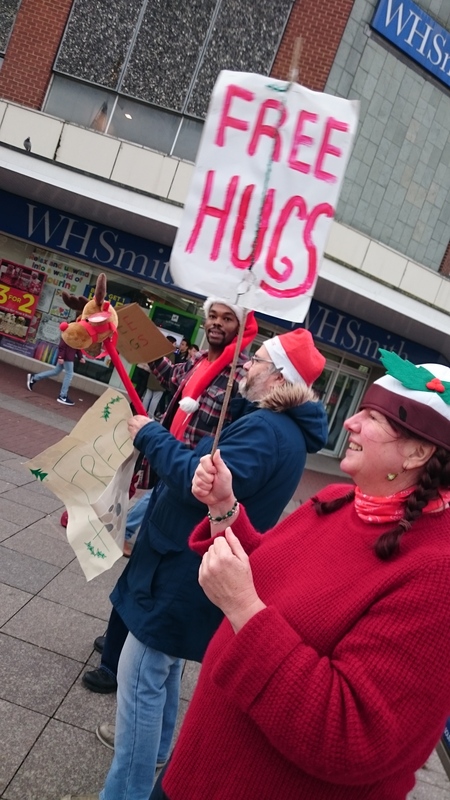 Likewise if you’re dealing with depression – which is incredibly common – or if Christmas reminds you of something upsetting that happened this time of year. It’s also hard for people who are trying to make ends meet – when the expectation is to spend spend SPEND! 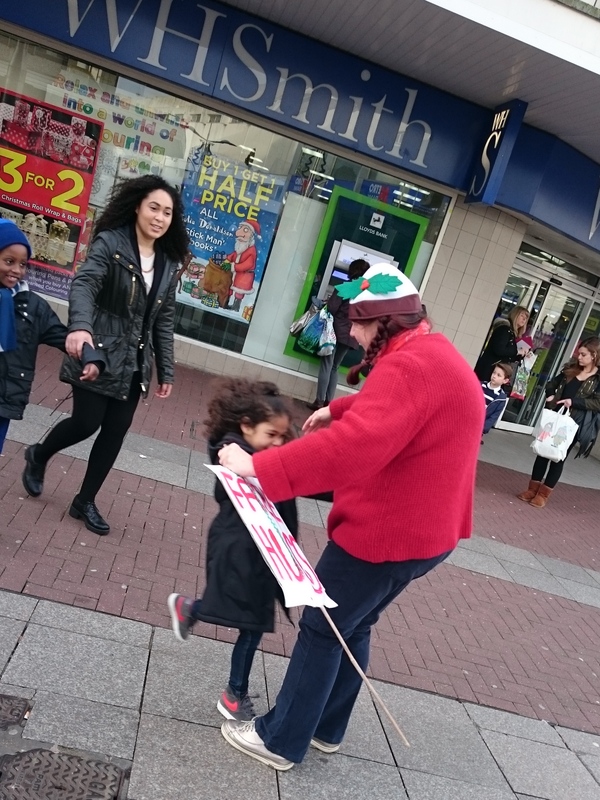 As ever, we were delighted by the amount of people that engaged with us. 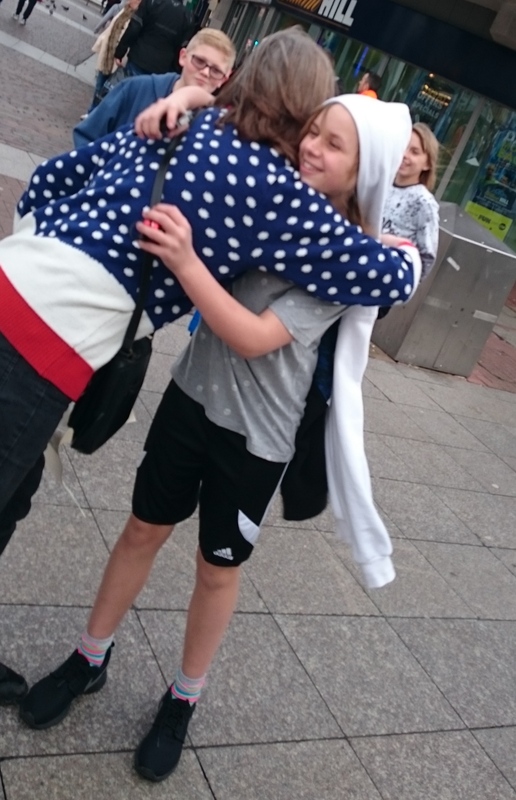 It’s wonderful to see the connections between people – between strangers; greeting one another like long lost friends. The news is full of doom and horror. 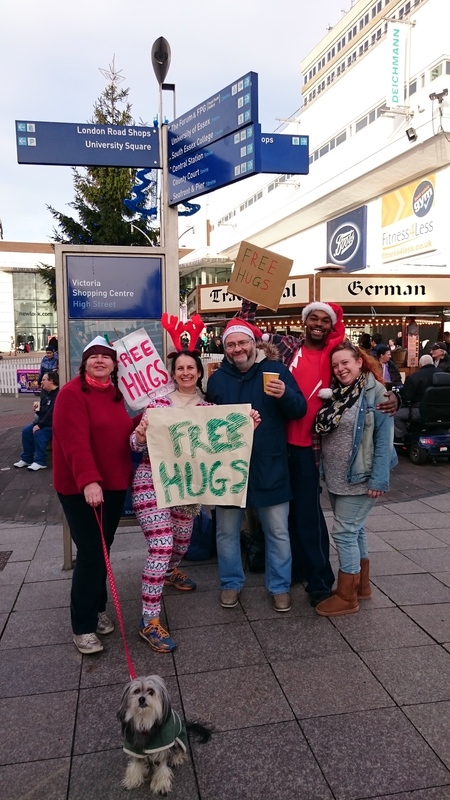 A free hug is a reminder there are actually lots of good people in this world.